It’s been a while since I first explained how I make my calendars and as the process has been streamlined a little I thought why not go thru it again? 1. The first critical thing is using Intaglio. OK so weird program, but most of what I do can be done in PSE just not so easy. 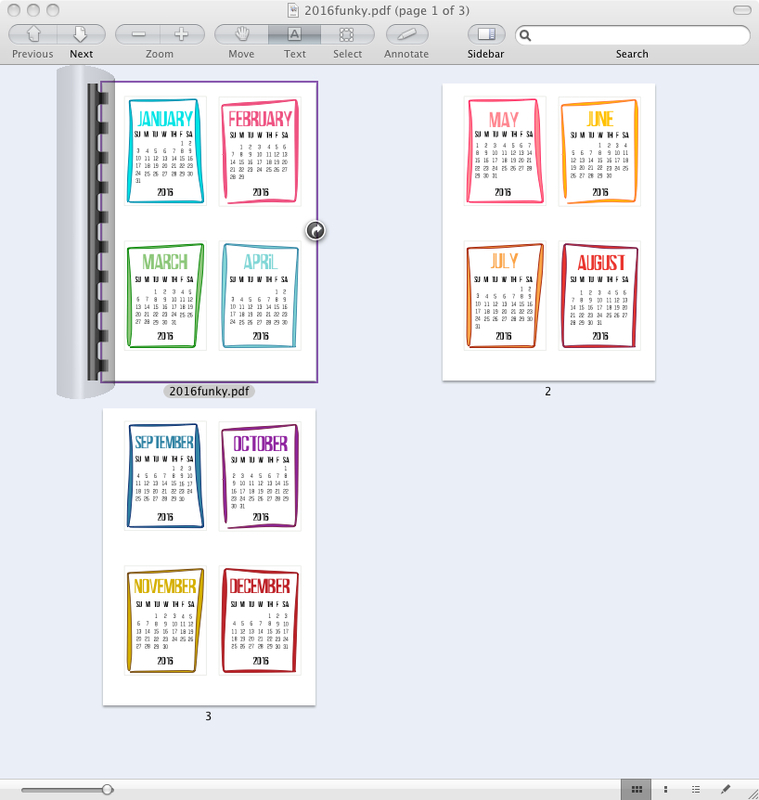 I have a number of these files – they are small and don’t take up a lot of disk space so I tend to keep them in the folder with the completed calendars. 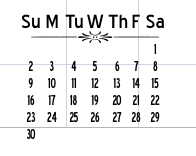 I have to go thru a process to perfectly align the columns of dates under the abbreviations for the days of the week. 3. 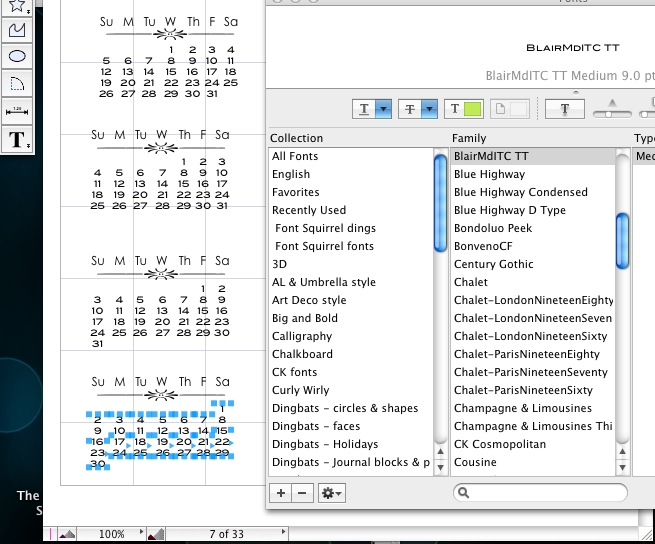 The font change process is pretty easy – I think it is A LOT easier than in Photoshop. 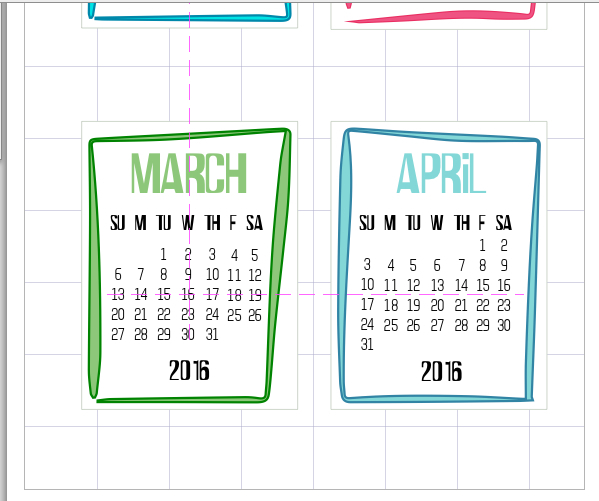 All I do is highlight the date block and pick a new font. If I change to a font that is very different, like a bouncy one, where none of the numbers sit exactly in the centre of the space, or if the space allocated to the numbers is different (a 3 is wider than a 1, for example) then I may have to go thru the alignment process again. 4. Then it is just a matter of saving each block. From there I can copy and paste the blocks on any decorative 3 x 4 card I create. 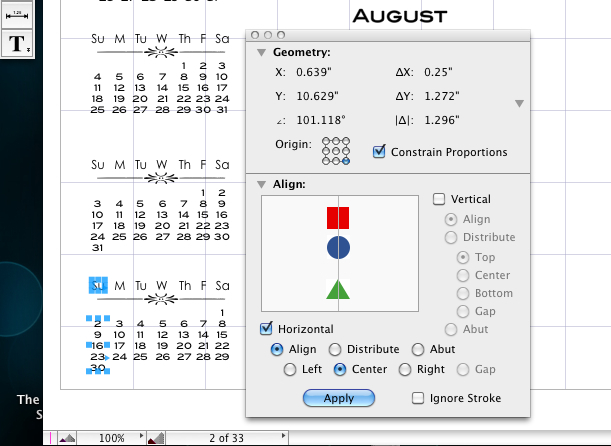 The thing is the blocks don’t change significantly from year to year, only which block gets assigned to which month changes. So I timed myself. Cause I was curious. 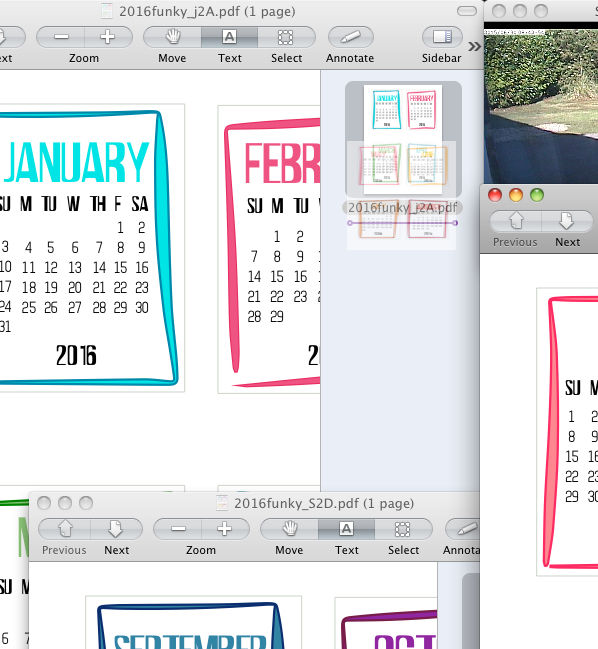 It took me about 20 minutes the change my 2015 Funky Frame calendar into a 2016 one. In some ways it was easier. 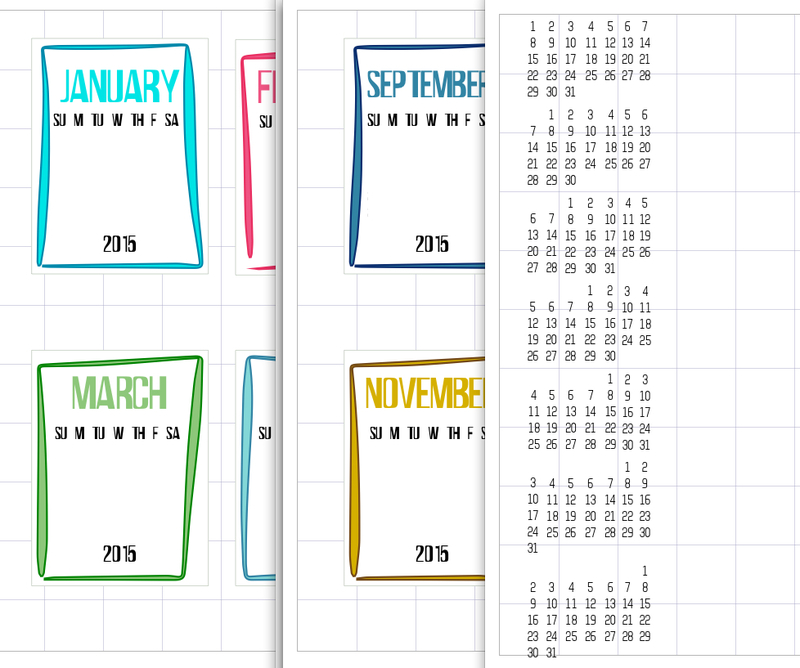 And as I was using the same font, the month blocks were already perfectly aligned, the only difference was which block went with which month! 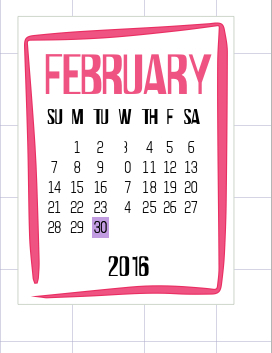 I just copy the blocks for each month on that page and paste them in. I edit the things that I need to, like the year – and I can edit the text in place, with the block still grouped – and editing a month to have fewer or more days. I always find a calendar on the internet to double-check against, and I always check at least three times to make sure I have the start and end day right for each month and the right number of days. 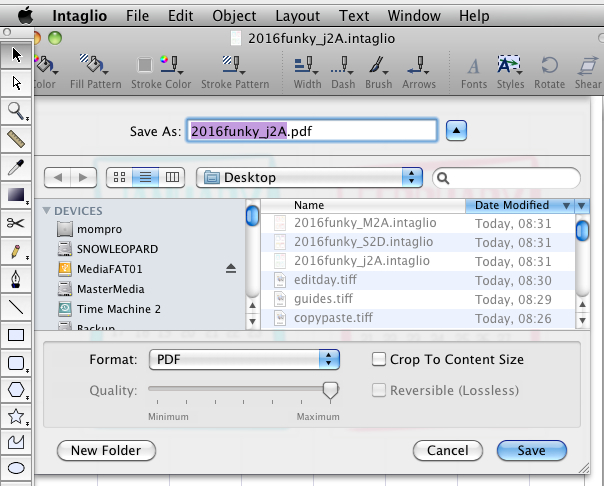 Finally, the native Mac tools in Preview that make dealing with PDFs so easy come forward! 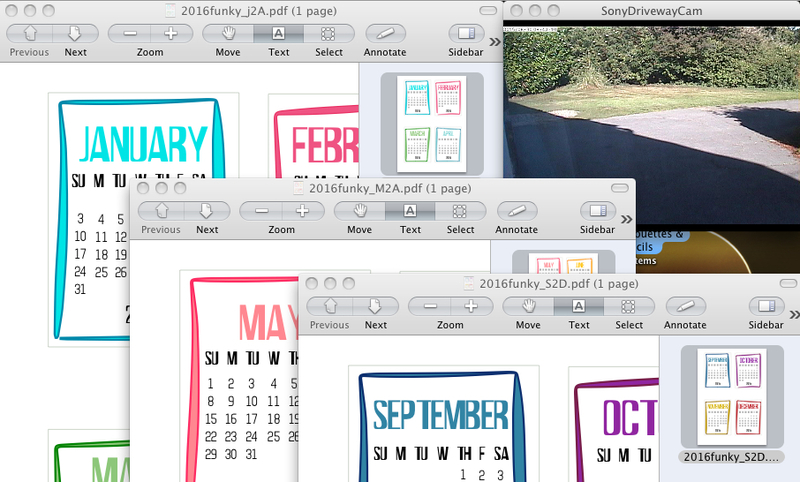 …which is ready to add for download HERE! 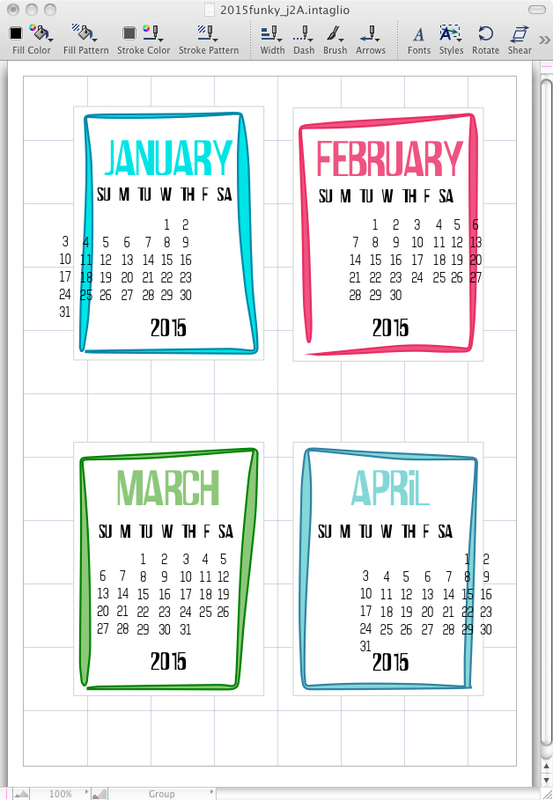 One advantage is for those who use the 3 x 4 calendar cards for gift projects. You can use the 2015 version and make one incorporating the remaining months of 2015 then carrying on thru 2016 and it will all match! So I hope that wasn’t too boring – maybe seeing how I do it will help you figure out how you can do similar in a program of your choice! 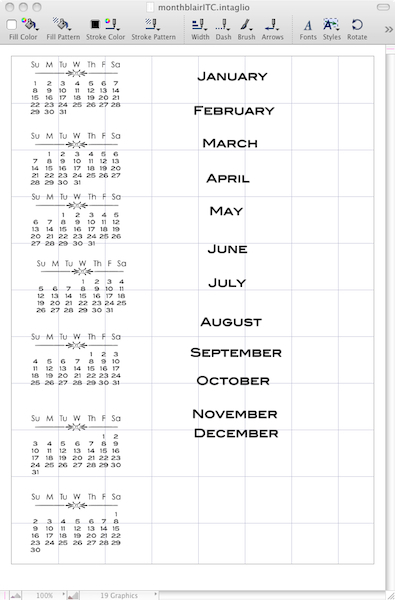 Categories: calendars, printables, Project Life, Uncategorized | Tags: calendars, printables, Project Life | Permalink.